League of Angels thrusts players into a dangerous and whimsical world, where they must aide light-bearing angels with protecting the world from darkness by liberating the Seal of Light. Along the way, players take their customisable characters on quests through challenging dungeons, tackle and conquer varied quests, and partake in a variety of fun mini-games, from Bejeweled style puzzlers to arcade shooters. Meanwhile, ever-present PvP arenas give adventurers plenty of opportunity to duke it out for high rewards and honours. To celebrate the summer holidays, NGames is providing the perfect excuse to avoid the humid, brain frying heat outside: the League of Angels Summer Video Contest. 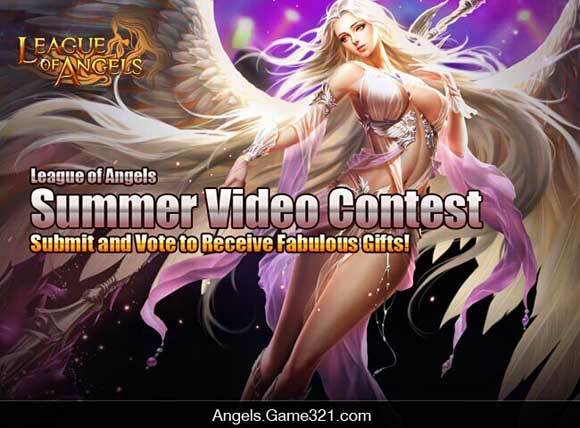 Bursting with prizes for all participants, the Summer Video Contest challenges players to create the best 2-minute League of Angels themed video celebrating summer. Players will be rewarded with prizes valued at up to $50 for showcasing their creativity, humour and delivering their own unique take on all the adventures League of Angels has to offer. The Summer Video Contest is open now and runs until September 14, 2014. Players are invited to submit original 2-minute or less videos about their League of Angels summer. All videos must be in English to be considered for prizes, and must be uploaded to YouTube with the title “League of Angels Summer Video Contest”. The dedicated Summer Contest voting area will be open to all players from September 15th to October 12rd. Here, players can watch every submitted video and vote for their favourite entries every day. Players are allowed five votes per day and can also share their favourite videos on Google+, Facebook and Twitter to call for extra votes from friends. All votes are driven by the community. When voting closes, League of Angels publisher NGames will review all entries and pick the 'Best' and 'Funniest' videos according to the votes. 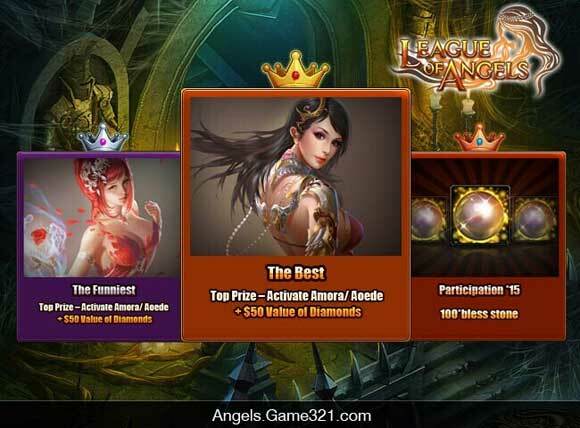 The two winners will receive up to $50 worth of in-game diamonds to super charge their League of Angels adventures. The Top 15 videos according to the user votes will also receive prizes, with 100 valuable Bless Stones credited to their account.